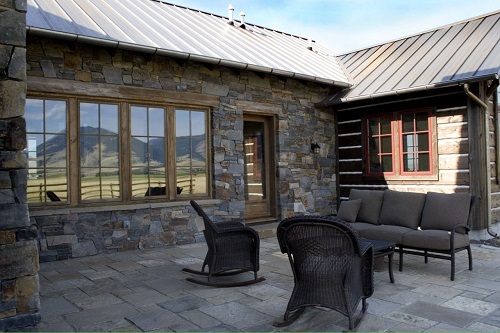 The rear exterior view of the house featuring a patio area beneath the great porch. 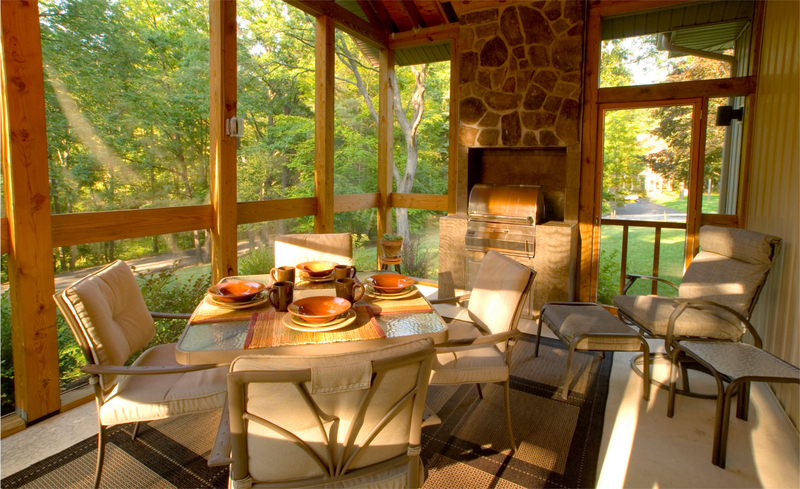 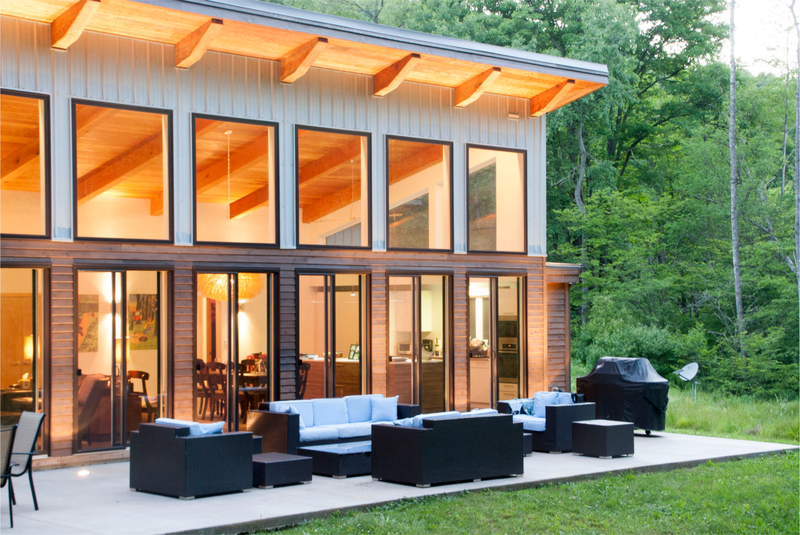 The screened-in porch that is attached to the house and offers a built-in barbecue. 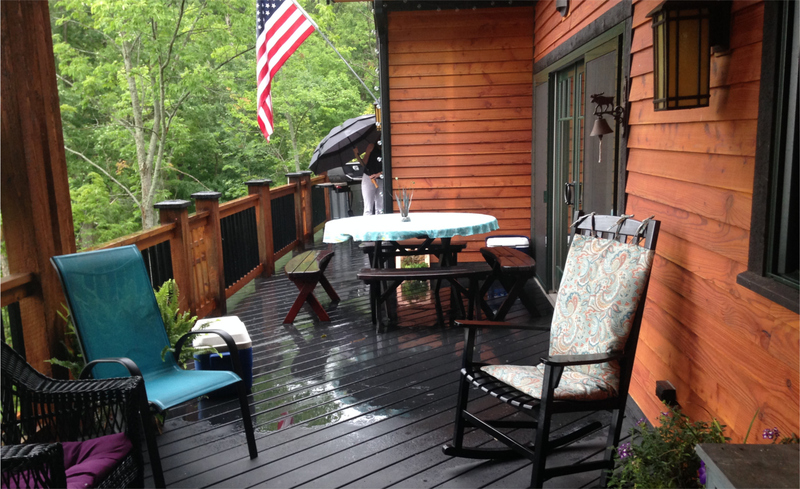 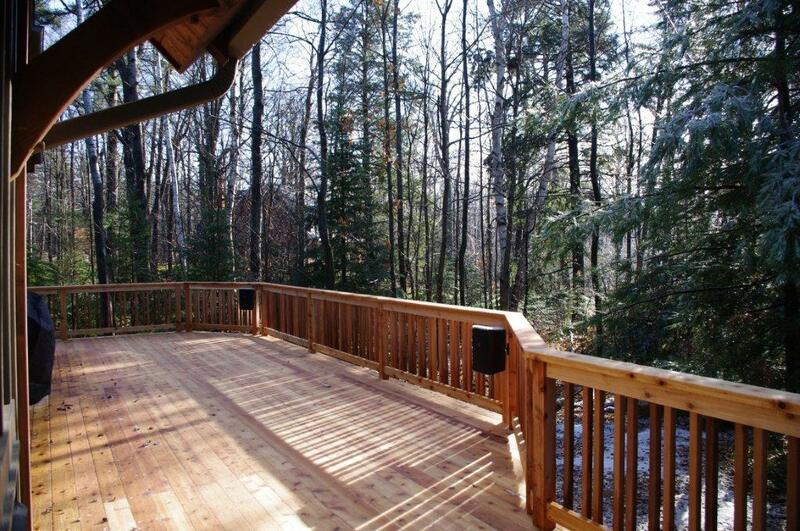 The cabin exterior terrace area with metal and wood siding under a seam metal roof. 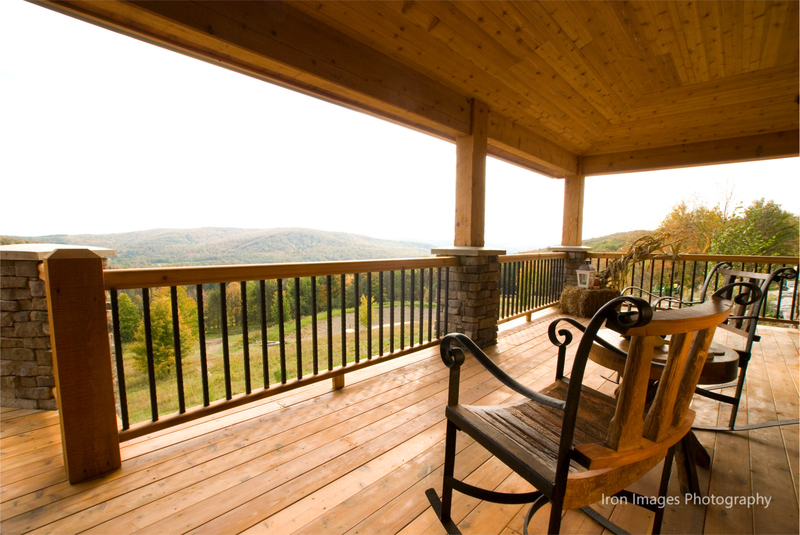 The great porch with its' breathtaking view. 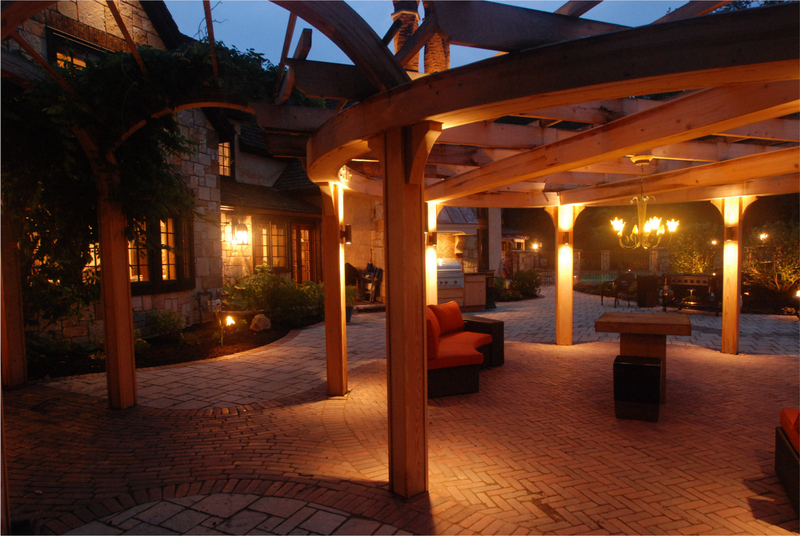 The round, open air pavillion patio area by Old Growth Cyrprus with a chandelier hanging from the woodwork. 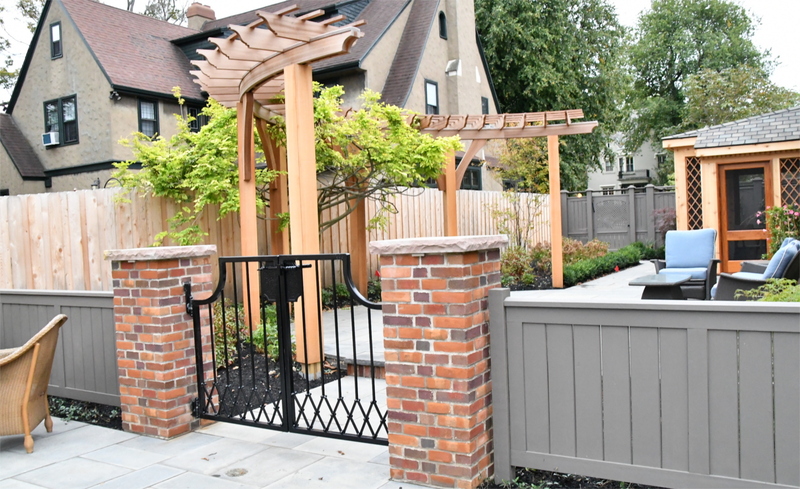 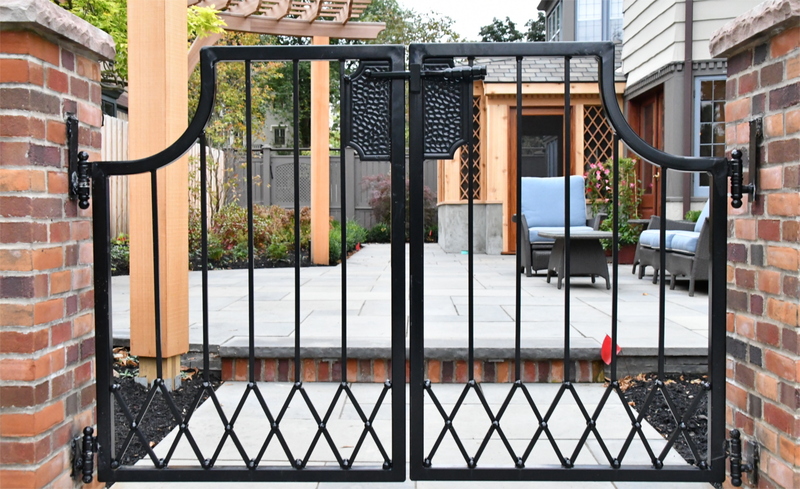 The pool area with a wrought iron fence by Crosby Iron Works. 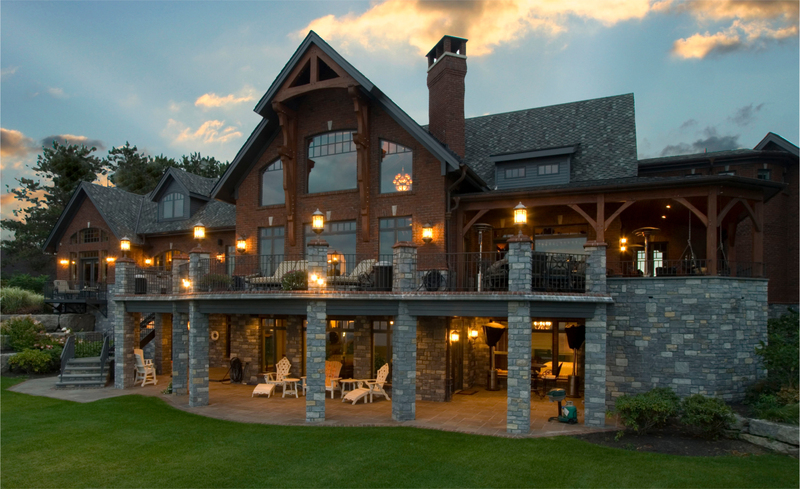 The bridge from the main house to the carriage house. 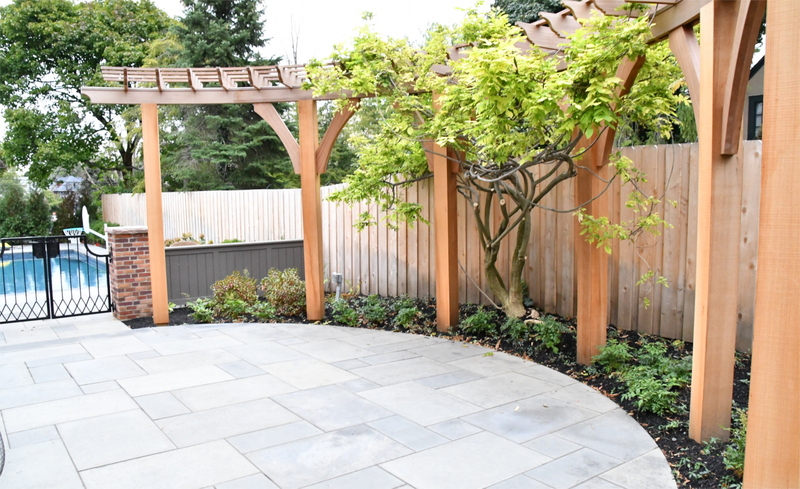 Outdoor patio with seating areas as well as plenty of garden space. 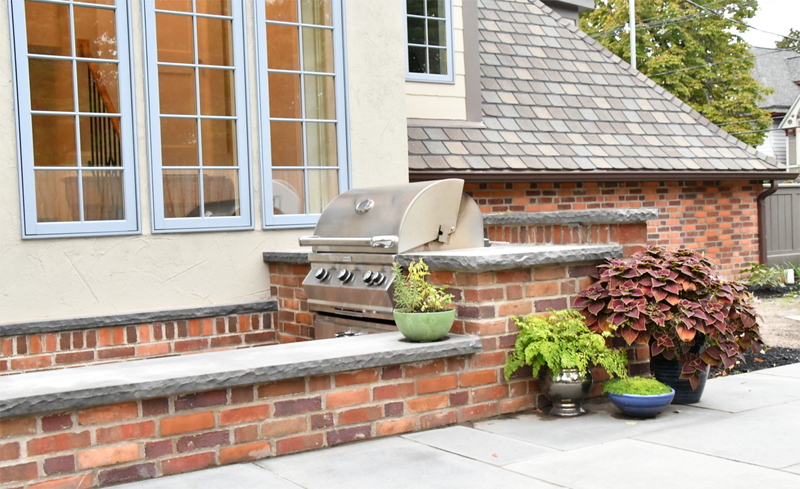 The outdoor space features a hammock, a fireplace, and numerous large stone pavers. 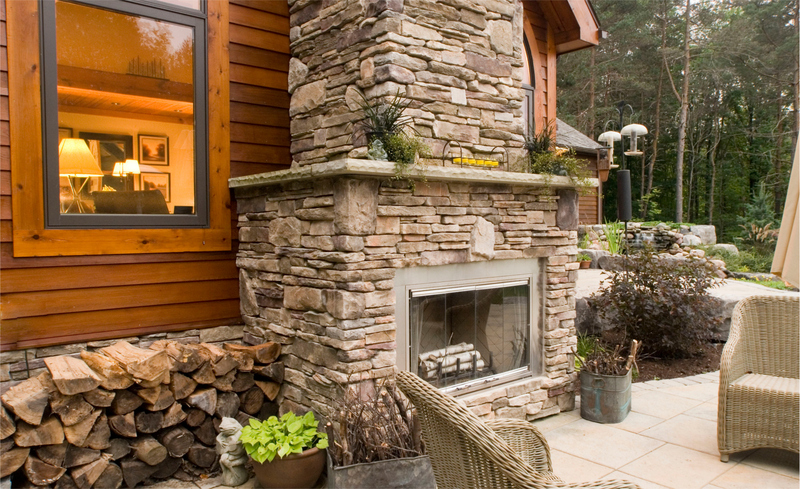 An up close view of the stone outdoor fireplace. 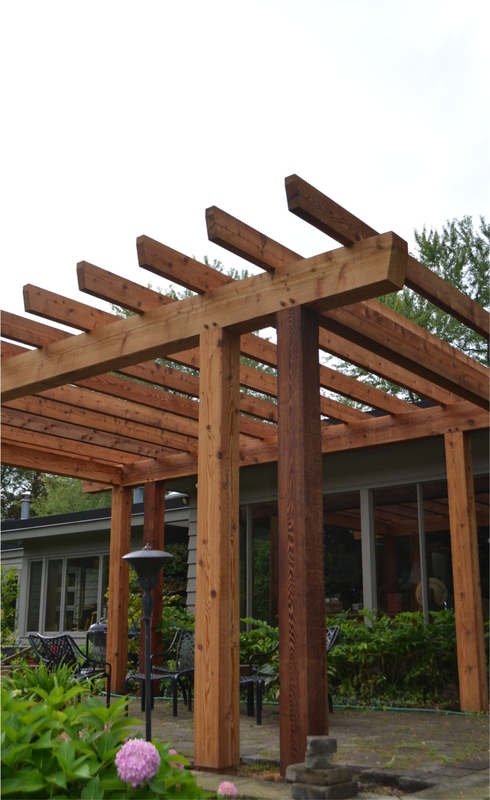 A rustic pergola over a patio seating area. 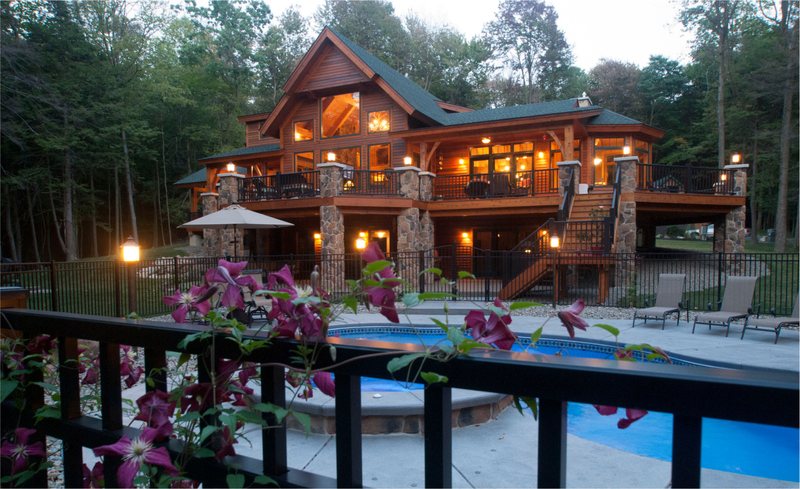 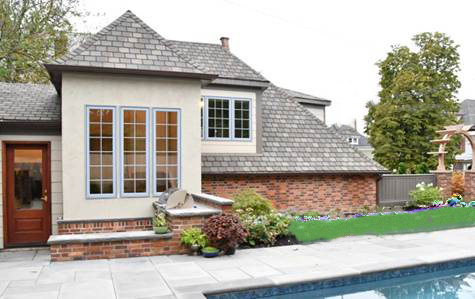 The rear exterior living space with a pool and a large porch area. 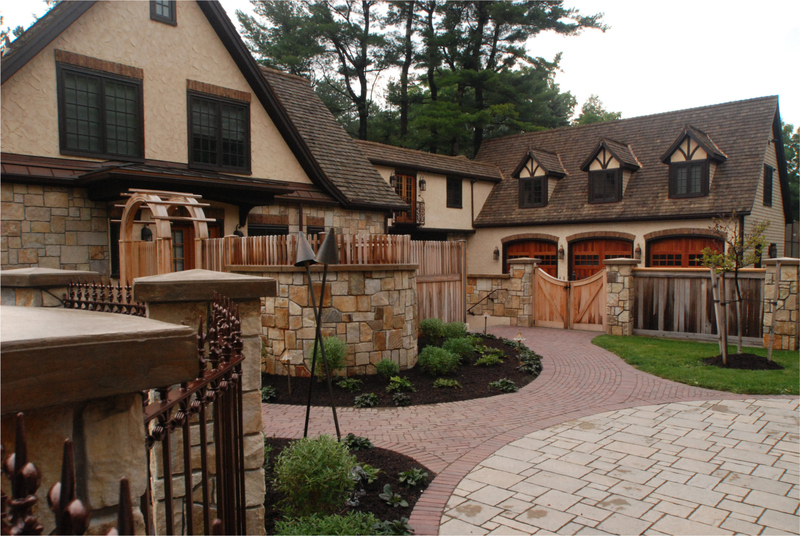 The outdoor patio area with stone pavers and a stone exterior wall.